Air conditioners are home appliances used to cool or condition the air inside of your home. They work the same way a refrigerator works to preserve your perishable food items. The difference between the two is that instead of cooling an insulated box, an air conditioner cools the air contained within the walls of your home or business. An air conditioning system utilizes a chemical called refrigerant to cool your home. The air conditioning components work in unison by converting the refrigerant from a liquid to a gas to a liquid again through the process of evaporation. The compressor and condensing coil are located outside your house. A typical configuration for this component would have the compressor mounted to a base and surrounded by the condensing coils and cooling fins. They can be noisy and are often placed in areas away from bedroom windows and patios. The evaporator is located inside your home, typically within an air handler or as part of a furnace heating system. An air handler is responsible for providing air circulation throughout the house and ductwork. It also houses the evaporator coil, fan and blower assembly along with other essential components required by the air conditioning system. As the refrigerant arrives at the condensing unit, a compressor squeezes it, which creates an extremely hot and high-pressure gas. Next, it travels to the condenser where cooling fins positioned around the condensing coil help to dissipate or remove the heat, thereby converting it into a much cooler liquid. Next, the cooled liquid travels to the evaporator and coil inside the air handler. As the liquid enters the evaporator coil, its pressure drops. This is where the magic begins. Since heat is required to separate the molecules to convert the liquid back into a gas, it draws the heat from the surrounding air. Metal fins positioned on the evaporator coil help with the heat exchange during this process. As the refrigerant leaves the evaporator, it is a cool, low-pressure gas. It travels back to the condensing unit and the process repeats itself over and over again. The evaporator coil usually resides inside an air handler. The air handler is a housing that contains the evaporator as well as a fan and blower assembly. The fan/blower assembly is responsible for directing the airflow across the evaporator fins. As the warm air crosses the evaporator fins, its heat is extracted, which converts the liquid refrigerant back into a gas as part of the process mentioned above. The cooler air is then forced into a series of ducts and distributed to vents located throughout your home. The entire process continues until the inside temperature reaches the programmed settings on a thermostat. Once the thermostat senses the desired level has been achieved, it deactivates the air conditioning system. As the temperatures inside your home rise above the programmed settings on the thermostat, the system is reactivated to cool the air. A thermostat is a temperature-sensitive device, which is a crucial part of an air conditioning system. 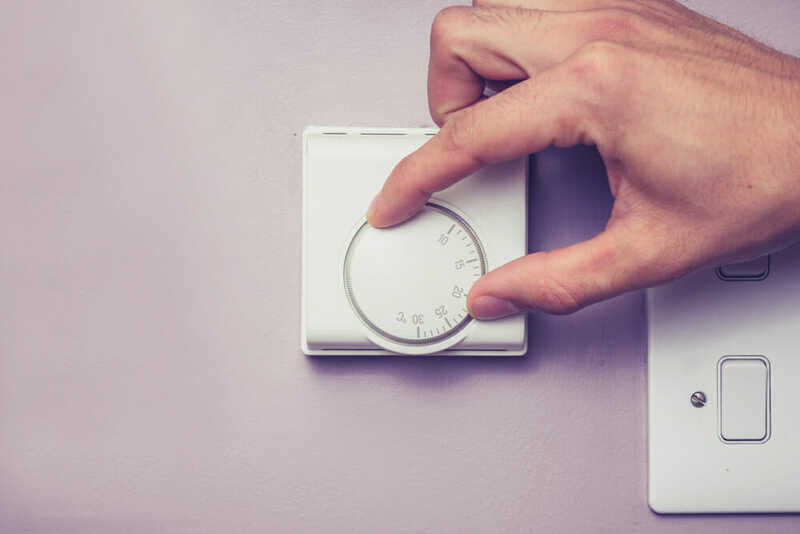 As inside air temperatures rise above or fall below a preset limit, the thermostat tells the air conditioner when to turn off and on to control them. Operation can range between simple, manually operated devices to sophisticated programmable units with enhanced functionality and Wi-Fi capabilities. The thermostat is often placed in close proximity to the air handler. Ideally, its location is in the center of the house away from windows, doors and high-traffic areas. Direct sunlight or constant drafts from an opening door can have adverse effects on its operation. This can lead to false temperature readings and the cycling of your air conditioning system, which will burn through more energy and raise your utility bills. The above information is a basic explanation of how an air conditioning system works. To maintain maximum system efficiency, you must schedule annual maintenance and cleaning with a professional heating and air conditioning contractor. 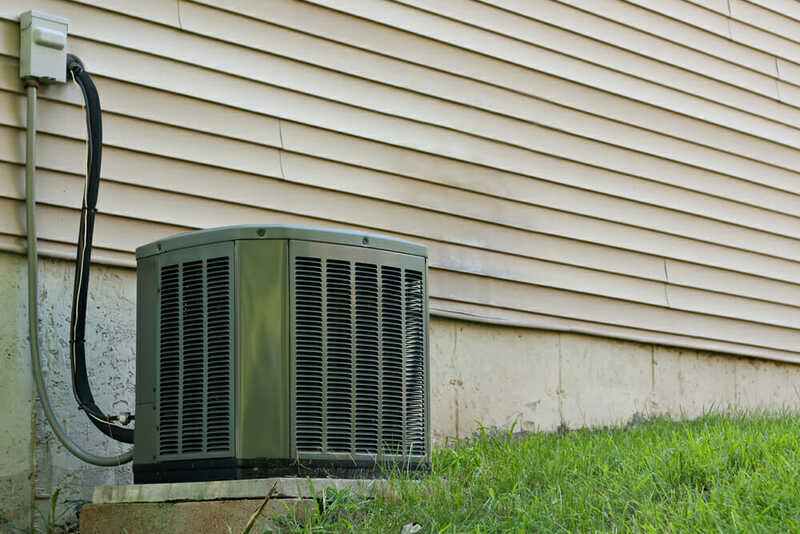 Replacing your air conditioner regularly provides many system benefits. A clean filter maintains adequate airflow through the system, reducing drag which can lead to increased energy use, costly repairs and a shorter equipment life span. It also helps to maintain clean air qualities in your home.